Hi everyone, please welcome my new blog sponsor Akshata Nayak from The Orange Owl. You can find and visit the link to her store along with the other amazing sponsors on the left side. Thanks to all of them for making this blog possible, without their support it would not have been possible. So, a huge thanks to all of them again. Akshata shares her motivation that made her start her own company. A big motivating factor for me was the research I did during my Master of Science degree in Biochemistry (I have published papers in peer reviewed journals about this) - exposure to the levels of toxins (I studied arsenic specifically) that are allowed in the environment by legal EPA standards can negatively affect our immune system on a genetic level. A couple of years later, when I studied more about toxins and how our bodies react to them during my second Master of Science in Applied Clinical Nutrition, I started paying more attention to all the chemicals we are regularly exposed to. I was really surprised to see (finally notice, I should say) that chemicals I used in my lab for experiments were present in most skincare products which people buy in bulk off the shelves and use daily. For example - certain glycols (like PEG) are used as antifreeze in labs. I didn't pay a lot of attention to it before, but I do now and I truly believe that you are the sum of what you put in and on your body. Your physiology, including genetic information, is affected by what you and your environment do to it. It is obvious that you cannot control every aspect of the environment, however, you can give yourself the best chance by managing what you do to your internal biochemistry. I am just trying to help people understand that with The Orange Owl and my wellness center, Alternative Roots Wellness Center. Did you need any more? Why did you choose owl for your logo? 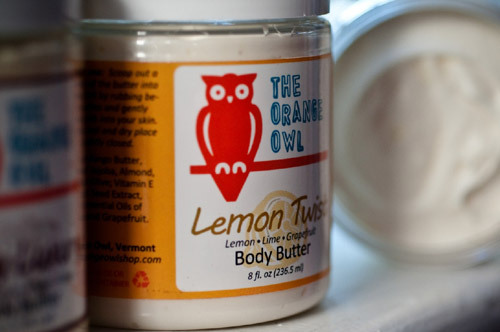 When the idea of setting up my own brand for ecofriendly skincare products was just taking root in my mind, everywhere I went, I saw owls in all shapes and forms (toys, stuffed animals, graphics, fabric prints). So when time came to choose a name, the owl stood out in my mind. It just felt right. And The Orange Owl is the bright and wise choice :) I actually have a full blog post coming up about this in the next few weeks! Any events in the future that you would like to share about here? MTV Movie Awards Red Carpet Gift Lounge. 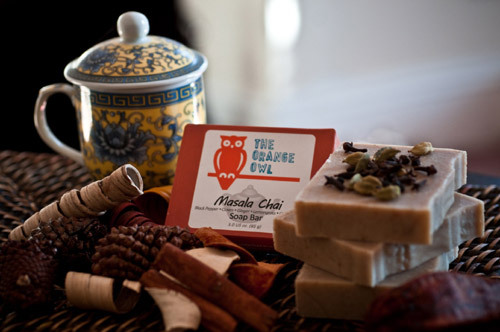 The Owl was recently chosen to participate in this Gift Lounge hosted for the nominees and presenters at the Awards Show on May 31st. The award function itself is on June 3rd. I will be at the event introducing the celebrity world to The Orange Owl! 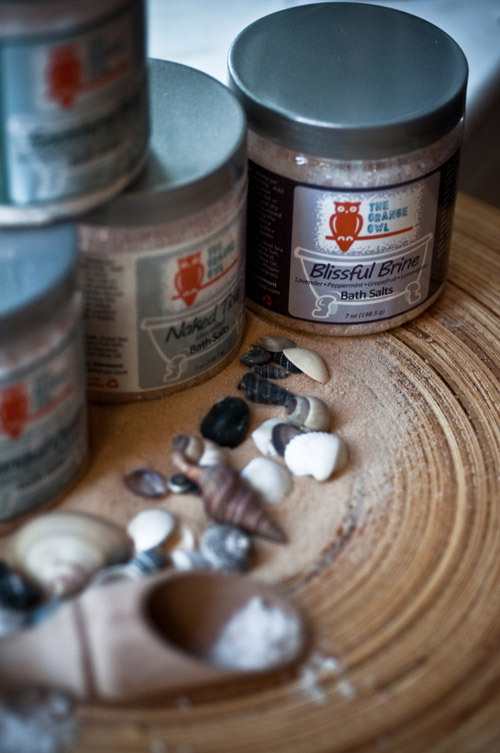 We are launching our line of body scrubs at the show - specifically Mocha Buzz (Coffee, Chocolate and Vanilla). These will be made available for retail online at the end of June. The Orange Owl is also going fully vegan for the show - this is a change we will institute in our online store over the next few months. At the moment, our lip balms cannot be labeled vegan because of the beeswax content. 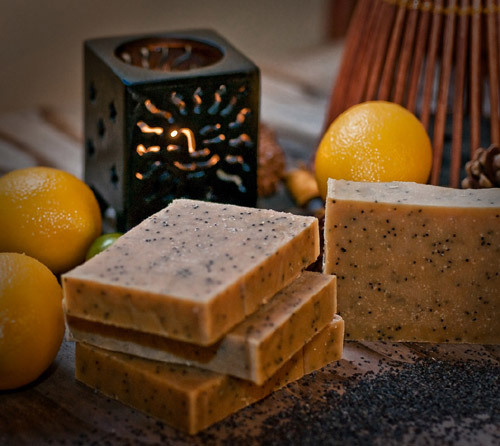 We are switching over to Candelilla Wax over the next few batches we make. Gift bags full of our ecofriendly and vegan products will be available for all the celebrities and all attendees will be able to scoop up our luscious and chemical-free lip balms. 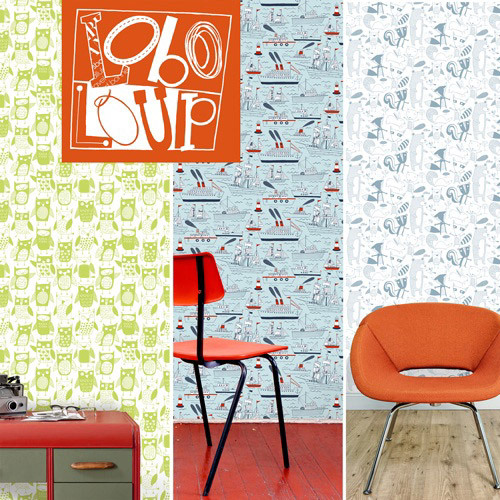 Nancy and her niece Elizabeth Wolff have started a boutique design company Loboloup, specializing in contemporary wallpaper for kids. 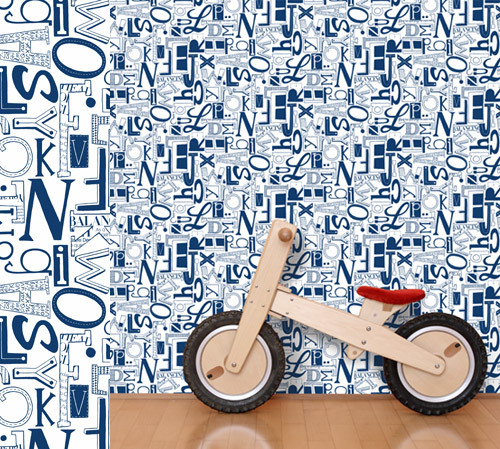 Their products are eco-friendly, hand-painted and are hand-screened using water-based inks. 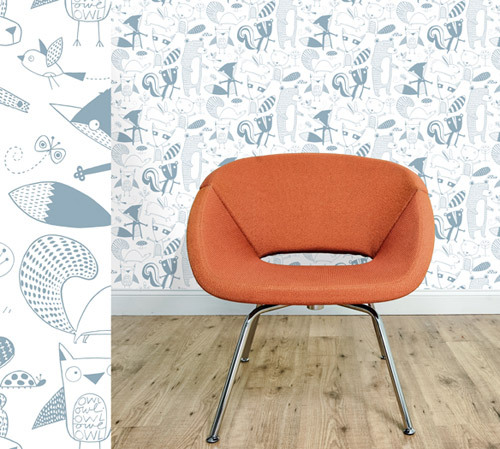 There are many designs including owls, ships & sails, circus, robots and more that'll look great in a kid's room. You can visit their website to make a purchase or visit them at at ICFF, May 19-22, booth 976 when they are premiering the collection. Harriet Gray is a freelance illustrator from the UK. She loves to experiment with textures, patterns and colors. Harriet makes one-of-a-kind and limited edition goodies that are adorned with her original illustrations. 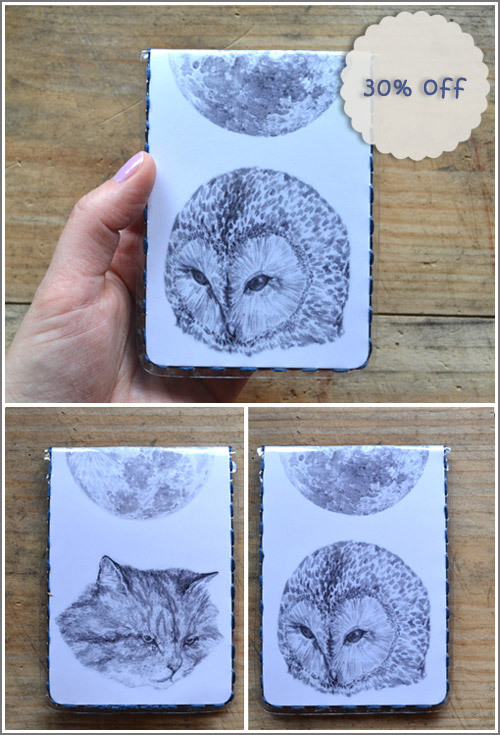 I am so thrilled that she has offered this beautiful 'Owl and The Pussycat' wallet for the Owlsome Deal at 30% off for a limited time and in limited quantities. You can grab one at the special price of $5.95 only by clicking 'Add to Cart' button below! It'll make a perfect father's day gift or for someone special in your life. The wallet is handmade by Harriet with high quality, super strong, glossy vinyl that is pliable and very tactile. Bound inside is a print of my 'Owl and the Pussycat' illustration which, when folded, shows Owl one side, and Pussycat the other. Lovingly hand stitched together with soft 'midnight blue' embroidery floss. This wallet has two clear vinyl pockets on the inside to hold your travel cards / train tickets / business cards / photos / pea green boat tickets / ... anything credit card sized! 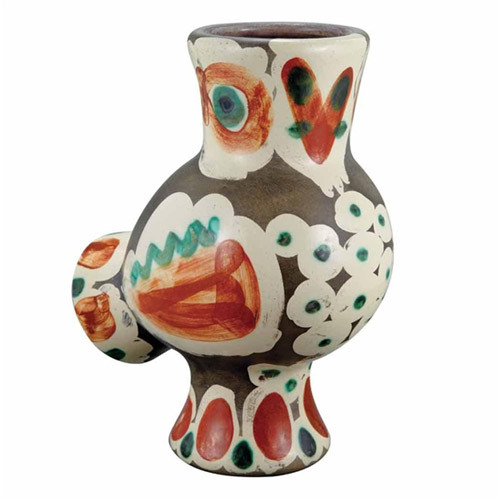 Measures approx 105mm x 75mm when closed or 210mm x 75mm when open. Will be carefully gift wrapped in tissue paper. - If you have any pre-purchase enquiries or questions about your purchase. Please email at harriet@harrietgray.co.uk. 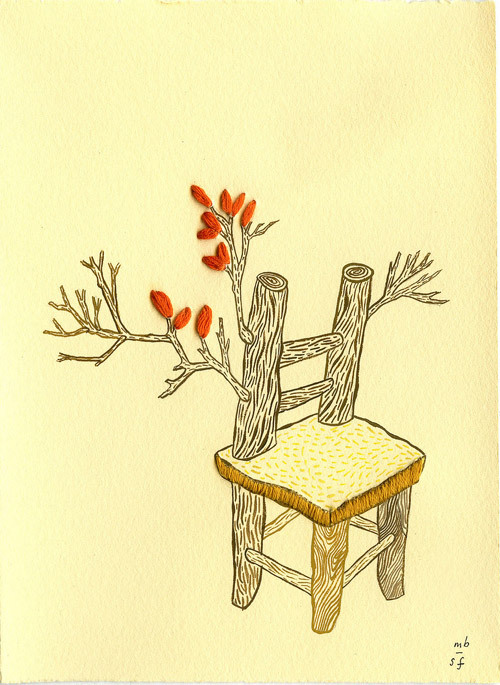 Sarajo Frieden is an artist, illustrator and designer based in Los Angeles. 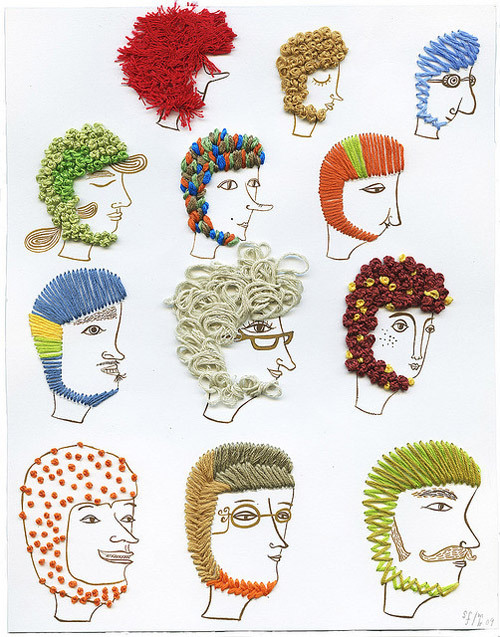 She creates these amazing and intricate embroidered paper pieces that are full of color and texture. 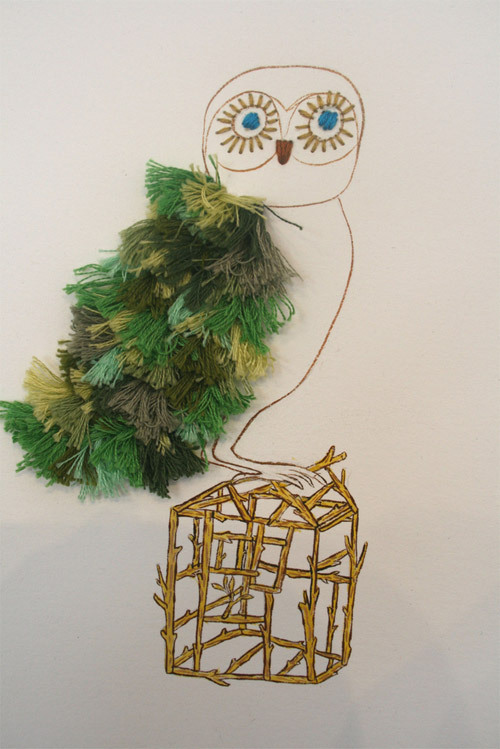 The gorgeous owl was done in collaboration with a talented friend, Marci Boudreau. 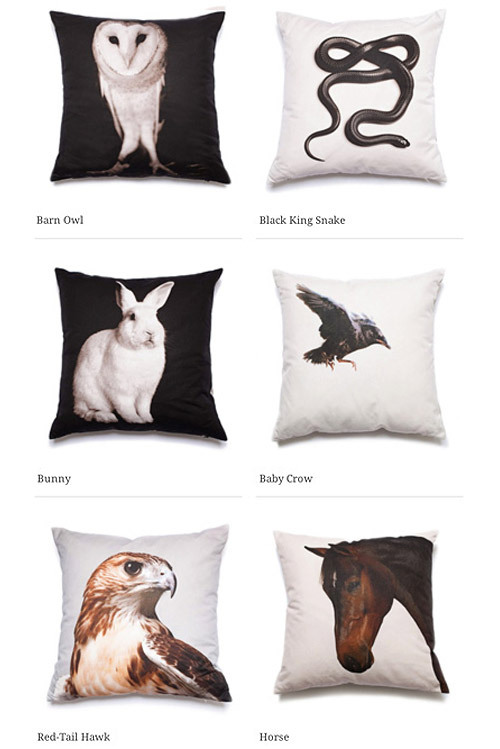 Fable and Exotic are the first two whimsical pillow collections by East Camp Home. 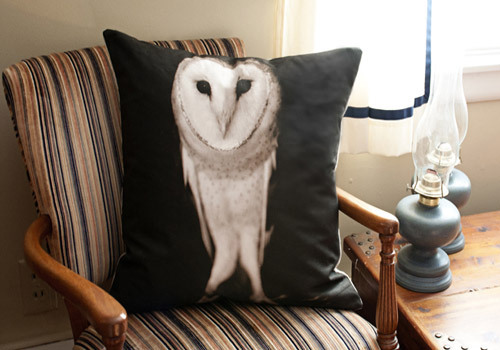 Lucy Bohnsack the founder, collaborated with renowned animal photographer Valerie Shaff to create these fun and unique pillows that are perfect to bring nature in any corner of the house. 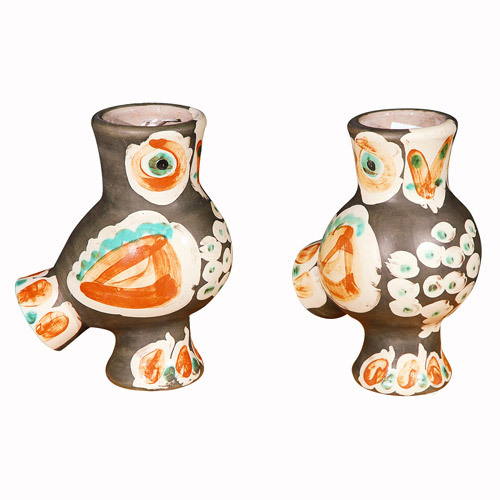 Pablo Picasso owl shaped, hand-painted ceramic vase circa 1968. Beautiful! 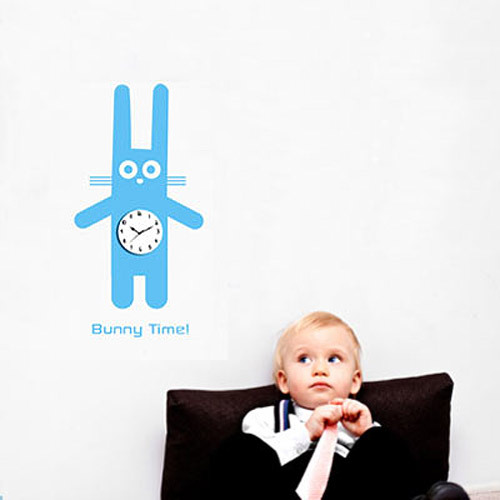 I love this idea of wall decals that double as clocks. 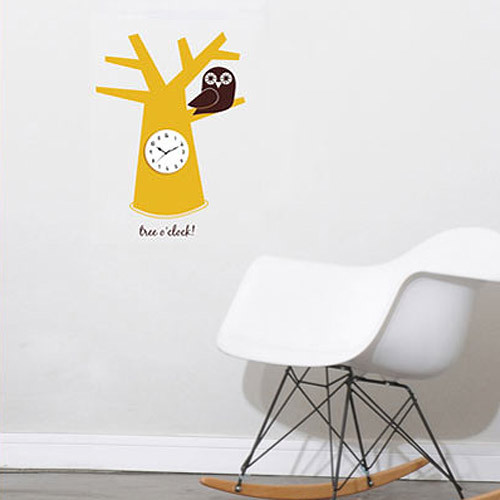 There are several designs to choose from owl to bunny and more by Animi Causa.